Author, essayist, This American Life contributor, and all-round funny gal, Sarah Vowell hits PDX to discuss her new book. Here are some reminders of why you need to be there. She's a journalist, essayist, author, and social commentator who also happens to be bitingly witty and alarmingly smart. And now she's Portland-bound, on the back of her book Lafayatte in the Somewhat United States. We've got five good reasons why you should be there. 1. Her performance as the beloved Pixar daughter Violet in The Incredibles earned her a MTV Movie Award Nomination for Best On-Screen Duo. Try counting the number of New York Times bestselling authors that have a MTV Movie Award nomination under their belts. “When I was pondering a good Goth name for myself, I paged through my reference books on death and dying, looking for something gruesome. But nothing felt right. Maybe it's because I came of age in the '80s and I've seen Blue Velvet too many times, but to me, the really frightening stuff has nothing to do with ravens and rats. The truly sordid has a sunny, WASP-y glow. Therefore, I tell them, the most perverse name I can think of is Becky." 4. She cares. The Oklahoma-born author served for 10 years as president of the board of 826NYC, a nonprofit tutoring center for Brooklyn students. Are you convinced yet? 5. Lafayette in the Somewhat United States, like the other six titles Vowell has penned, delves into American history and culture using her wit to cast new light on past events. It comes across as the history report you wish you had written. Don't just take our word for it: Time says “[Vowell] takes an open and observant ‘Hey, that’s nuts’ stance toward past and present, which results in a book that’s informative, funny and insightful,” while Kirkus summed it up as "An enlightening and entertaining blend of history and edged attitude." 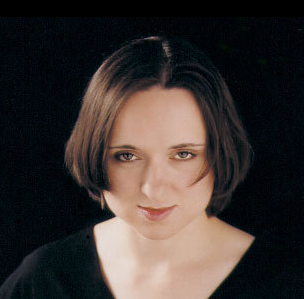 Sarah Vowell will be at Powell's on Tuesday, October 27.